Samsung is one of the biggest players in the tablet industry. The company is constantly rolling out new models with the most upgraded features and operational improvement. The Samsung Tablet 4 is one such tablet that saw a major overhaul. 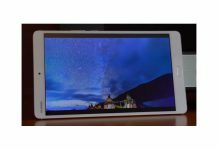 It was rebranded as the Samsung Galaxy Tab A and included many of the same specs, with some exceptional upgrades. Despite its name brand popularity, this tablet is still an affordable option for those on a budget. Samsung is able to reduce the price by including scaled-down offerings that would appease the average tablet user. In this guide, we’ll examine the Samsung Tablet 4’s upgrade, as well as other alternatives at a similar price point. 1. What are the best uses for this type of tablet? 2. 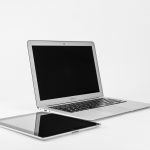 Which screen size is best? 3. How much internal storage is sufficient? 4. Can you still buy the Samsung Tablet 4? 5. 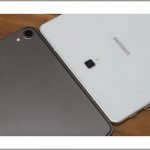 How much does the newer Samsung Tablet 4 cost? This type of tablet is best appreciated by those who are casual tablet users. If you’re looking for a tablet that will allow you to check your email and favorite apps, with some occasional gaming, streaming and minimal photo-taking, then the tablets on this list will likely work out well for you. There is no “best” screen size, but larger screens will definitely run more expensive. 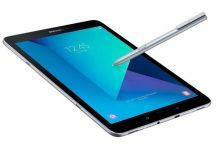 We’re focusing primarily on 10-inch tablets in this guide, since this was the most popular version of the Samsung Tablet 4. This size is a good middle-ground for those unsure which size is appropriate. For light tablet use, 16GB to 32GB should be enough. If you’re the type that takes a lot of photos and never removes them from your device, that storage space will be eaten up quickly. When watching movies or TV shows, downloaded content will require significantly more storage. However, if you mostly use streaming app subscriptions, then storage shouldn’t be an issue. It’s difficult to find, but Amazon offers an old model for $320 in black. The rarity of it is what hikes the price up. Samsung has since come out with a newer version of this same tablet at a much more affordable price. 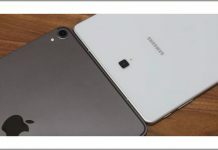 The Samsung Galaxy Tab A costs $279, for similar specifications than the original Samsung Tablet 4. This includes a 10.1-inch screen and 16 GB of internal storage. Because the Samsung Tablet 4 model had less storage, we focused on 10-inch tablets offering 16GB of internal storage. For the most part, this is the new minimum you’ll see when shopping for tablets. For the user who doesn’t need to spend hundreds of dollars for additional storage, these tablets can be the perfect buy. We chose brands that are readily available with favorable customer reviews. 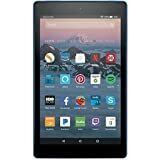 These are not necessarily the cheapest tablets you can find, but instead are good solid tablets that are more budget friendly because of the small amount of internal storage. Certain brands are also targeted to a budget-minded customer, and the price is purposely low to appeal to that clientele. Big brands like Samsung are able to charge a premium price due to the customer consensus of quality and durability. This tablet is equipped with Android 6.0 operating system and includes a 1920x1200 high-resolution display. Samsung exclusive features like Quick Connect and Smart Switch make it easy to transition from one tablet to the next while sharing data with other users. While the full price is $279, it’s marked down to ​$249.91 at most retailers, including Samsung itself. This is the most expensive you’ll see on our list, but it’s a fair price for a brand as well supported as Samsung. Best Buy and Amazon both have the Galaxy Tab A available with 16GB in both black and white. Samsung has some additional screen size and storage options, but we like the 10-inch screen and 16GB for the tablet beginner. The tablet and its battery are covered for a period of up to one year. Some exclusions pertaining to tablet usage do apply. Amazon takes a few additional dollars off than Best Buy and Samsung, but it’s almost insignificant. Both Best Buy and Amazon offer free shipping, but with Best Buy you have the option of picking up in-store if that’s more convenient for you. This tablet has an efficient quad-core Snapdragon processor. It has a screen resolution of 1280x800 and has an Android 7.1 operating system. Lenovo offers a unique feature that enables you to set up profiles for different family members. It also has the ability to transform into a kid’s tablet. Although some retailers show the list price of this tablet at $179.99, Lenovo lists this specific model starting at $169.99. Pricing variables include internal storage and whether the device is LTE or 4G enabled. You can buy this tablet online at Lenovo.com, or through Amazon. Best Buy sells a similar Lenovo tablet that offers 32GB at a similar price. However, that particular model lacks the high-functioning Snapdragon processor. Warranty information is not readily available through Lenovo. Amazon provides documentation that outlines the details of warranty claims but does not specify a duration. Amazon’s got the best deal at $166.47. This includes free shipping. You’ll have four colors to choose from with this tablet: black, blue, red or yellow. It comes with the unique Fire operating system. Like the Lenovo tablet, it has the ability to become a kids’ tablet by limiting access to certain features and apps. 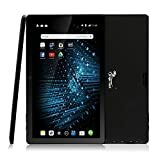 Very affordable tablet excellent for tight budget. Impressive battery life that can last up to 12 hours. Features an Alexa voice recognition feature. There are some complaints about the tablet's build quality. This tablet costs $79.99 for 16GB of internal storage. Because the price is so affordable, you may consider stepping up to 32GB for a total cost of only ​$89.99. Screen size is only 8 inches, which is 2 inches smaller than the rest of the tablets in our list. The best place to buy is directly through Amazon, but you’ll find it at major electronic chains as well. Best Buy offers the same affordable price that Amazon does. The Fire HD 8 comes with a 90-day limited warranty. You do have the option of purchasing an extended warranty, however. The price of the Amazon Fire HD 8 is fairly standard, so you won’t find many variations. The cost is low enough to be considered a deal on its own. The ZenPad 10 includes a screen resolution of 1920x1200 with an HD IP5 display. The operating system used is Android 7.0. Asus also offers the Asus VisualMaster, which is a blue light filter to minimize eye strain. Battery life can last up to 9 hours without charging. At full price, this tablet is $219. This includes the 10-inch screen and 16GB of internal storage. Best Buy does list the item, but it may not always be in stock. Otherwise, you can find it on Amazon, or by shopping third-party through Google Express. Asus provides a 1-year limited warranty. Customers report that warranty support is hit or miss, which is something to keep in mind if you’re concerned about the tablet breaking. Even when Best Buy has the Asus ZenPad in stock, Amazon’s got the best price as ​$198.99 with free shipping. If you buy through Google Express, and it’s your first time using it, you may get an additional percentage off the full price. The Dragon Touch X10’s most enticing feature is the mini HDMI port. This port allows you to easily connect your tablet to your television set. It runs with the Android 5.1 operating system. This is the cheapest in the list and perfect for tight budget. Fairly poor battery life that can only last for 6 hours. Pricing for this tablet runs right around $100, with some variations both up and down. Dragon Touch is a brand that prides itself on quality tablets at affordable prices, making the budget tablet their niche product. You’ll find this tablet at Walmart, or through Amazon. Other options include third-party retailers and eBay. Dragon Touch is owned by Tablet Express, which issues a 1-year limited warranty for each of its products. This warranty covers product defects, or any technical faults found within that time period. Walmart has the best deal at $103, including free shipping. Amazon also includes free shipping with a price just below $110. Samsung takes the prize for its overwhelming customer satisfaction. It has one of the highest in screen resolution on our list, combined with its robust battery and build quality make it standout. The best alternative to the Samsung Tablet 4 is this upgraded version. While this tablet isn’t the absolute cheapest on the list, it’s most affordable for its overall package. You’re still spending right around $100 for a brand that prides itself on affordable quality. It has the familiar Android operating system that so many tablet users love, and it’s got a micro HDMI port. It may be slightly more expensive than the Amazon Fire, but the extra features make it a good value. The small price tag of the Fire encourages you to buy more than one. With four distinct colors, each family member can claim their own. Each person using a separate tablet also means that storage should not be an issue, like it would be on a shared tablet. 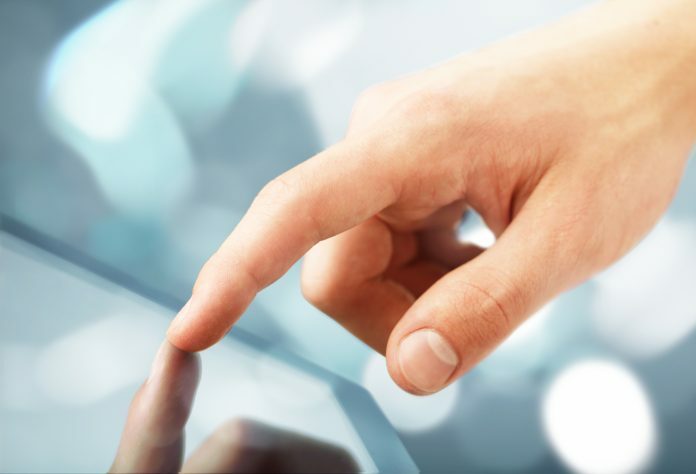 Parents have the ability to implement parental controls to limit their children’s tablet usage. The warranty for these may be short, but the price is a bargain when gifting to multiple people. Whether you’re looking for a tablet just for yourself or searching for the perfect gift for someone, choosing a tablet with less storage will help you save a lot of money. The 16GB tablet may seem small, but it’s got just enough space for new tablet users to explore and have fun. Each tablet on this list has the option for expandable storage. So even if those first 16GB go fast, there’s room to grow with each choice we described.